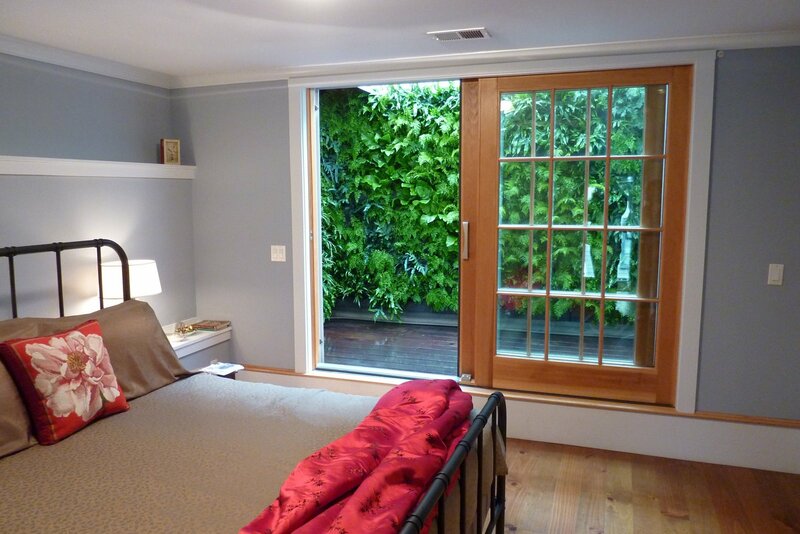 PlantsOnWalls created a stunning custom living wall installation for a private home on Telegraph Hill in San Francisco. The clients wanted an exciting and fresh way to mask the bare retaining walls of their master suite's sub-level patio. 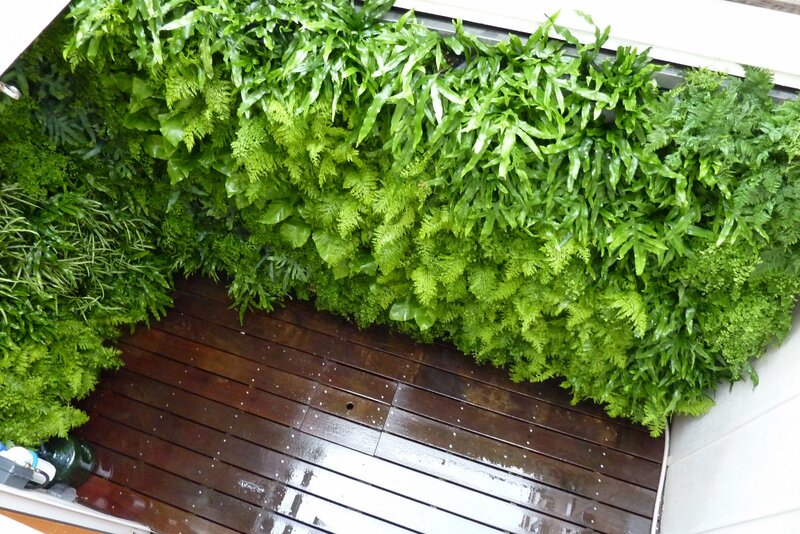 The open-air indirect light was perfect for a variety of ferns. We fitted 234 root-wrapped plants into the felt pockets, transforming a utilitarian patio into a vibrant space bursting with lush greenery. 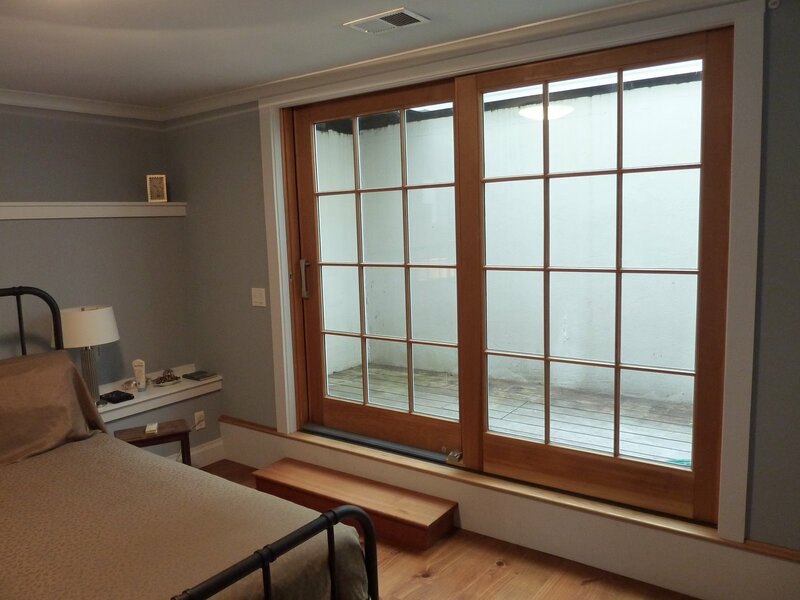 The client was delighted and remarked on how it recalled childhood forest memories. 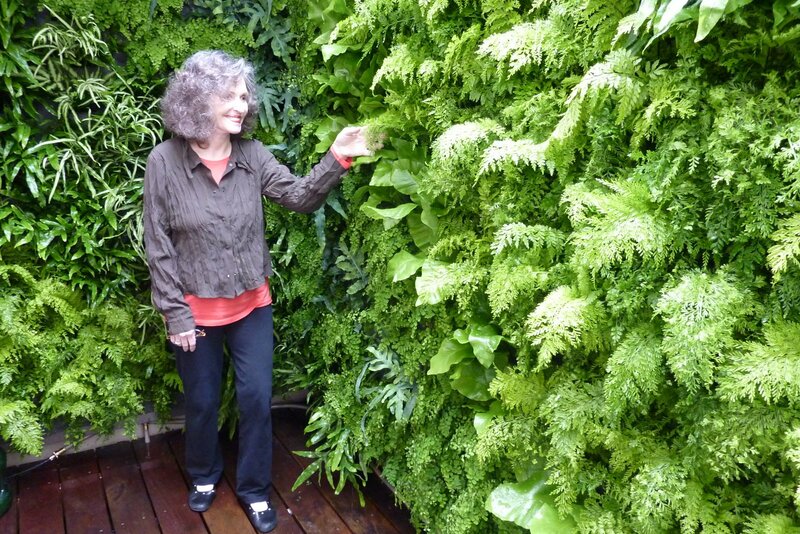 Floraframe Living Wall Kits filled with ferns for a private residence in San Francisco.